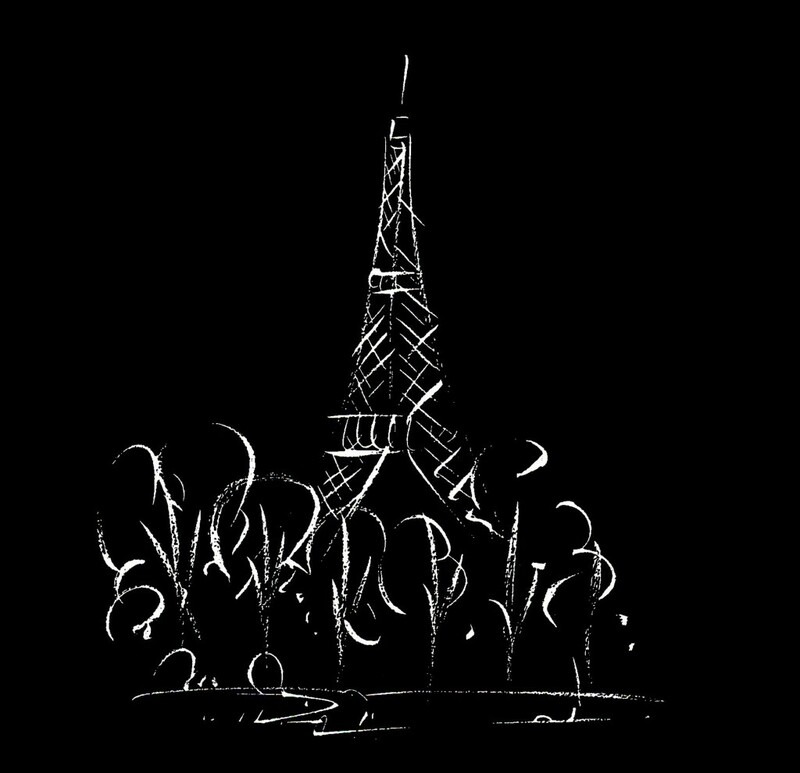 “La Vie et le Spectacle Continue… Life and the Show Go On in Paris ” by Rachel Kaplan. © 2015 Rachel Kaplan. All rights reserved. Published with permission. Written in response to the attacks in Paris on November 13, 2015. Push back the clock to Friday, November 13th, 2015. It was date night for me in Paris, with dinner at the Bar à Huitres on the Boulevard Montparnasse, followed by the beautifully poetic, tender and witty movie titled Youth playing to an audience of 20 at the Lucernaire, also on the Left Bank. Funny I thought, I am seeing a movie with Harvey Keitel, and 22 years ago, the last time I saw a movie with the same actor was in Jane Campion’s The Piano, also playing then at the Lucernaire. (It’s clear to all of us, he has good taste in film-makers). At 10:30 pm, crossing the Boulevard Montparnasse, I saw a posse of police cars practically flying off the pavement like wild stallions. An ambulance with blue lights was racing in the opposite direction. (There must be a demonstration that has turned bloody, I thought to myself). When I got home, I read this message from my friend Jeanne Goodman: “They just announced on the news there have bee a series of explosions and/or “incidents” in Paris. Just checking that you are safe.” It was less than a second before I saw on CNN the breaking story. I immediately called my best friend, the artist Anne Ferrer, to see if she and her sons were alright. While the answer was yes, we both knew that the worst was about to go down: mass murder at the Bataclan rock ‘n roll concert hall which was playing to a full house that night. I waited up until 1 am until the police raid at the Bataclan was over: death toll 79, several hundred more seriously wounded. Amateur movies showed people fleeing for their lives, their terror all too palpable, even on an Ipad or Iphone. The next day the hashtags mushroomed on the Web: #Je suis Paris; #Pray for Paris; and people had covered their Facebook profile photos with the French flag. The airwaves were rife with commentary, rumors, political attacks, interviews. The city was in a state of emergency with theaters and concert halls closed for the weekend, as well as most museums and national monuments. U2 and Bono had cancelled their Saturday night concert, Marilyn Manson Monday night’s event. Instead of taking my grand-daughter to see a souped-up version of Little Red Riding Hood (Le Petit Chaperon Rouge) at the Lucernaire, we stayed at home to make something sweet: a fool-proof cheesecake. Happily our four-year-old angel had no idea of the tragedy and had no idea of what she had been forced to miss. We spent the day drawing and baking at home. Life started to take on a certain normalcy, despite the continuous news stream showing a mourning city, a grieving world, that was demonstrating its outpouring of love for Paris and France. By Sunday afternoon, I wanted to get out to photograph the city’s cafés, restaurants and wine bars in the Marais, happy to see the shops overflowing with curious and eager visitors. I tried on a pair of pretty Angela Caputi earrings, checked out a new cashmere sweater boutique, and happily took in the crowds lining up for felafel at L’As du Felafel. I understood that Parisians, who have been through centuries of war and revolution, hardship and prosperity, good times and bad times, were not going to go into hiding, were not going to be vanquished by this group of murderous thugs, who were ready to blow up people in a soccer stadium and mercilessly gun down young men and women in the prime of life at a rock concert or at a restaurant. Rachel Kaplan, born in New York City, is the President and Founder of the Paris-based Events & Company. Ms. Kaplan has had a life-long passion for European taste and culture. Born into a family of Francophiles, she was educated at the Lyçée Français de New York. A graduate of Northwestern University’s Medill School of Journalism, Ms. Kaplan went on to pursue a career in business journalism and international media and marketing communication for such clients as Lintas Worldwide and the Lagardère Group’s US Division of Hachette Magazines. She has lived in Paris since 1994, where she wrote and published six books including a series for Harry N. Abrams on four major European capitals, including Little-Known Museums In and Around Paris. 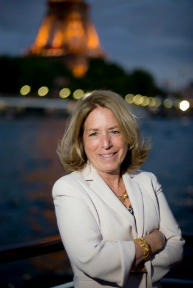 Acclaimed by such leading publications as Travel & Leisure, Departures, The New York Times, The Washington Post, The Wall Street Journal, The Boston Globe and Town & Country, Ms. Kaplan has made guest appearances on American, British and French television. Thanks to Rachel Kaplan’s private “black book” of confidential addresses and local contacts, her guests receive exceptional treatment and unprecedented access to people and places in France and other parts of Europe. For more information visit: (www.frenchlinks.com) (www.eventsandcompany.com) (www.insiderfrance.com). Text copyright ©2015 Rachel Kaplan. All rights reserved. Leave a reply on "La Vie et le Spectacle Continue… Life and the Show Go On in Paris (Paris, November 13, 2015)"